Posted on June 20, 2016 at 10:00 am. Almond milk: Yes, I’ve heard homemade is way better, but who can even find fresh, untoasted almonds in Canada, let alone have time to make almond milk every three or four days? Unsweetened vanilla will do. 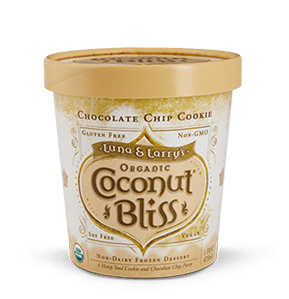 Canned coconut milk whipped cream: Thoroughly chill a can of full-fat coconut milk, then open, scrape off all of the more solid coconut cream, whip with a little vanilla and a touch of sugar or honey, and enjoy. It’s not whipped cream, but it’s a great substitute. As with regular cream, be careful not to overwhip. Want chocolate mousse? Do the same thing, but add cocoa powder and a bit of extra sweetening to counteract the bitterness of the cocoa. Put either one into the freezer for 15 minutes to set, then into the fridge to keep until use. Morning Rounds: Like a thin English muffin, but with awesome flavours, and completely dairy and egg free as of this posting. Coconut Bliss iced coconut milk: Heavenly, soft, and delicious. Daiya pizzas and Daiya “mozza cheese” shreds: I may need to reexamine the pizza with my possible nightshade allergy, but Daiya brings pizza and cheese back into my life and for that I am grateful. Gluten free pasta: Don’t ask me why, but usually the gluten-free pasta is also egg-free. Who knew? 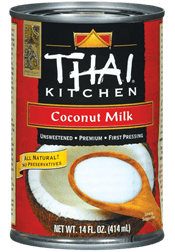 So Delicious cultured coconut yogurt substitute: This one has a caveat – it must be their US products and not their Canadian ones. For some reason, the Canadian ones are all grainy, at least when and where I can get them. Almond-based chocolate pudding: Amazing. Totally worth the four to five dollars for a yummy treat every once in a while. Sweets from the Earth chocolate cake: It’s chocolate cake that most allergic people can eat and they don’t have to make it themselves. Score! Daiya key lime “cheesecake”: I gave this one its own category. It’s that good. It’s not filling like real cheesecake though. Real food: This list item’s kind of cheating, but despite the sweet-heavy list above, having intolerances to dairy and eggs has caused me to have to switch away from a lot of prepackaged, processed foods and eat more whole foods the way nature intended. That can’t be a bad thing, right? Do you have food allergies? What recipes and products help you to enjoy some of the things you love? Comment below.